Which do you prefer, Paper Piecing OR Traditional Piecing? Won’t you help me decide? Leave your response in the comments. I’ll publish the results in a few days! As an added incentive I’ll choose a random winner and send you a copy of the block pattern! 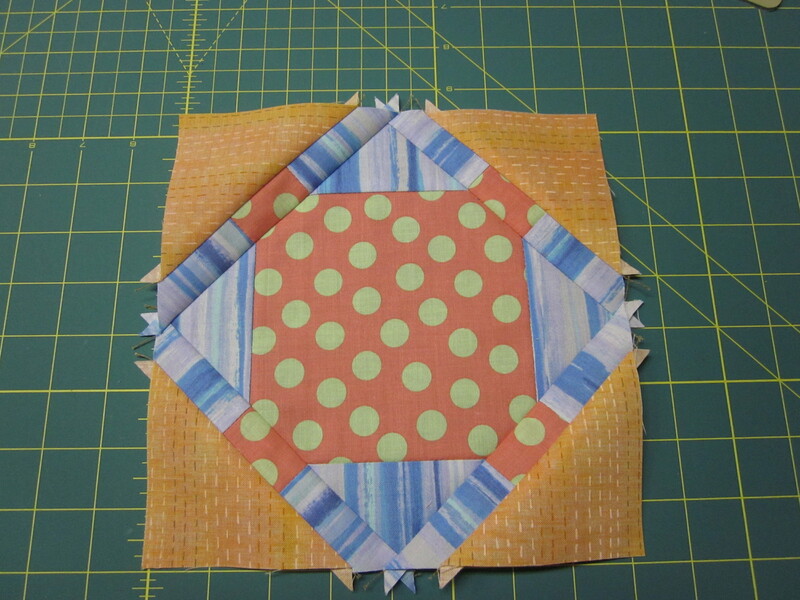 The scrap fabrics I’ve used in the test block are not like the final fabrics, except that there is a print in the center of the block, surrounded by stripes.